Key West may be a small island in size but big in heart, soul, and fun. It even has its very own Key West International Airport. Key West has a population of approximately 28,000 year-round residents and plays host to almost one million cruise ship visitors, as well as countless others who make the trek by air and by auto. Situated only 90 miles north of Cuba, Key West boasts a year-round tropical climate with an average annual temperature of 77 degrees that rarely varies more than 10 degrees in either direction. The rainfall averages only 39 inches per year. Less than 10 miles square in area, Key West is one of the hottest vacation destinations in the country. There's more packed into this small island than one would think possible, and visitors to the Florida Keys are never disappointed. Key West has a busy central tourist district, but it also has plentiful quiet, palm-lined streets with beautiful Spanish style houses. Key West's beaches lead visitors to clear blue waters that are perfect for swimming, jet skiing, snorkeling, and scuba diving. Several luxury resorts offer first-class accommodations and activities for the whole family. Visitors can stay close to shore, or they can take advantage of the many glass-bottom boat tours. 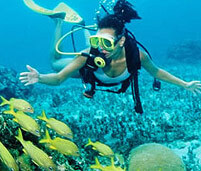 Many also hire boats to take them scuba diving in the world-famous reefs. The Key West Aquarium highlights the local marine life in dozens of hands-on activities for children. The island itself boasts some remarkable attractions for the entire family, yet the island is small enough that visitors can see them all. 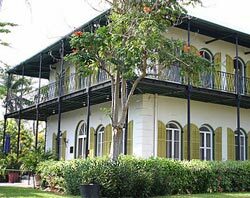 The Ernest Hemingway House was home to the famous author when he penned some of his best-known novels. The Audubon House is an authentic home from the 19th century, fully restored and remodeled; authentic antiques and paintings by famed naturalist John James Audubon can be found inside. The Key West Historic Tour traverses the island -- be on the lookout for the best places to enjoy conch, the local specialty. The residents of Key West have devised innumerable ways of serving this sea creature, and all are worth at least a try. While it is uncertain whether or not he ever sampled conch, President Truman often vacationed in a small house at the naval base located on Key West, and his reasons for visiting are the same as for today's visitors: sunshine, relaxation, and beach. Truman's hideaway is open for tours, adding one more item to the list of fun things to do in Key West. This small town is perfect for families looking for a great beach holiday in an interesting and manageable location. 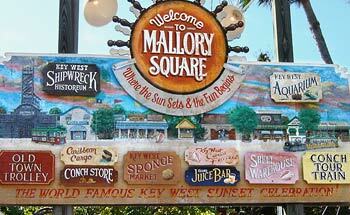 This site is used to promote tourism in the Key West area, and is owned and operated by Net411.com.